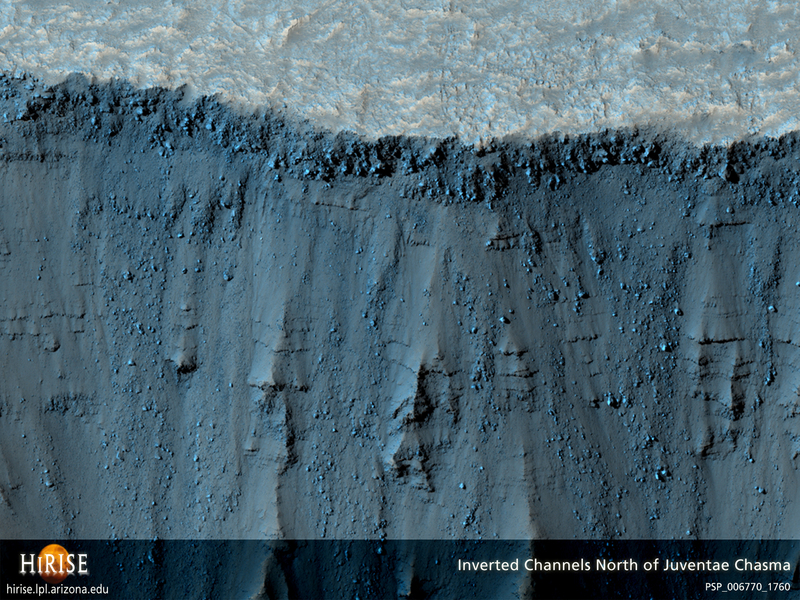 This image shows raised ridges on a plain to the north of Juventae Chasma. Juventae Chasma, a canyon that is part of the Valles Marineris system, stretches for 180 kilometers (110 miles) east-west and 250 km (155 mi) north-south. Several examples of raised features have been identified on the plains near this canyon. 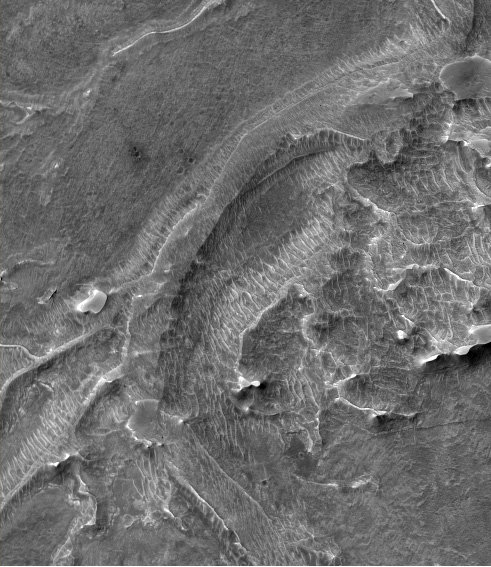 The raised ridges in this image (see subimage) have been explained as former stream channels that are now preserved in inverted relief. On Earth, inverted relief occurs when former depressions become elevated because materials that fill the depressions are more resistant to erosion than the surrounding terrain. For example, a depression may become filled with lava that is more resistant to erosion than the surrounding surface; gravel or boulders transported in a high energy flow protect underlying material from erosion, or sediments deposited by a flowing stream become cemented. This is a stereo pair with PSP_006981_1760.